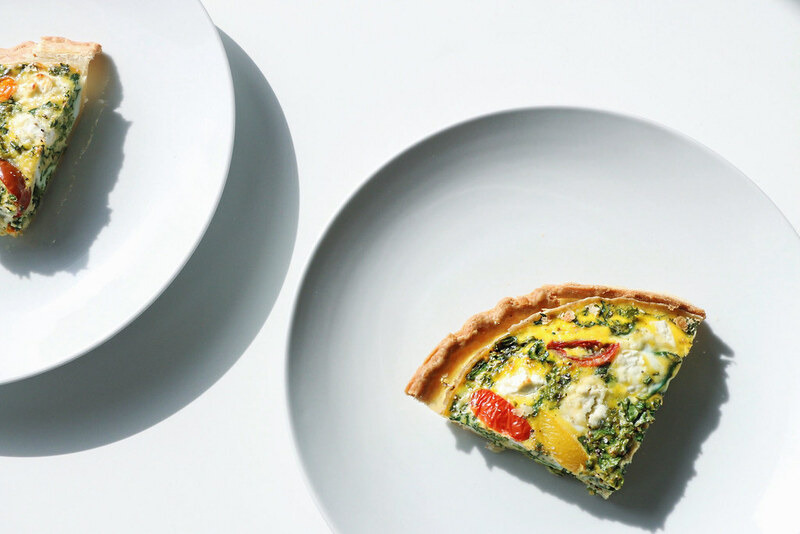 What better way to start your morning than with an iron packed kale quiche. 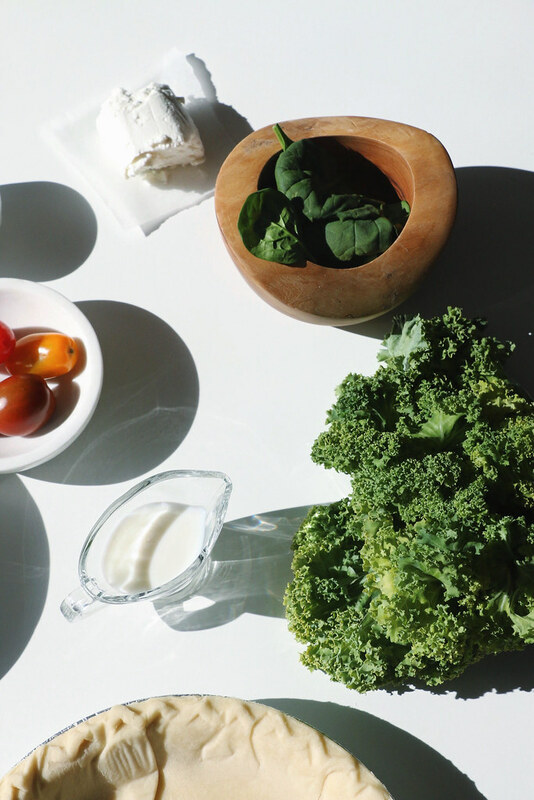 I love kale & I am always trying to integrate it into many of my recipes. 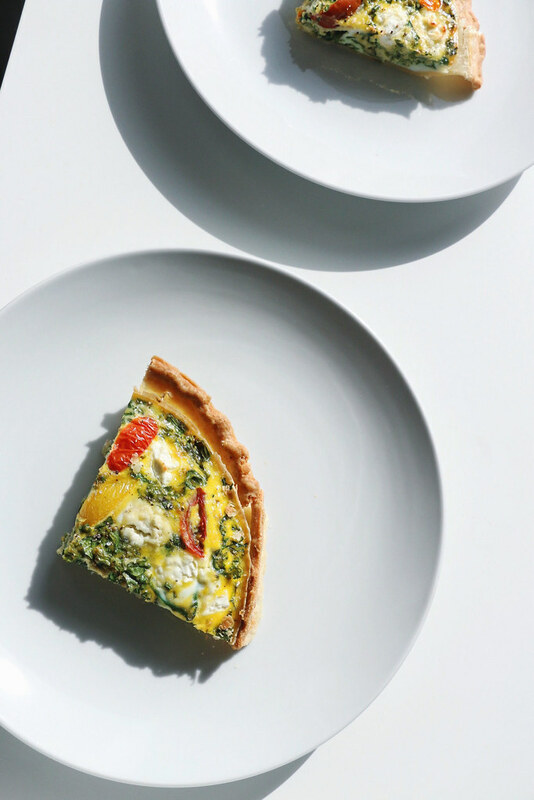 This quiche is simple & easy with just 5 main ingredients to really highlight the earthy fresh taste of kale & creamy, yet tangy, goat cheese. 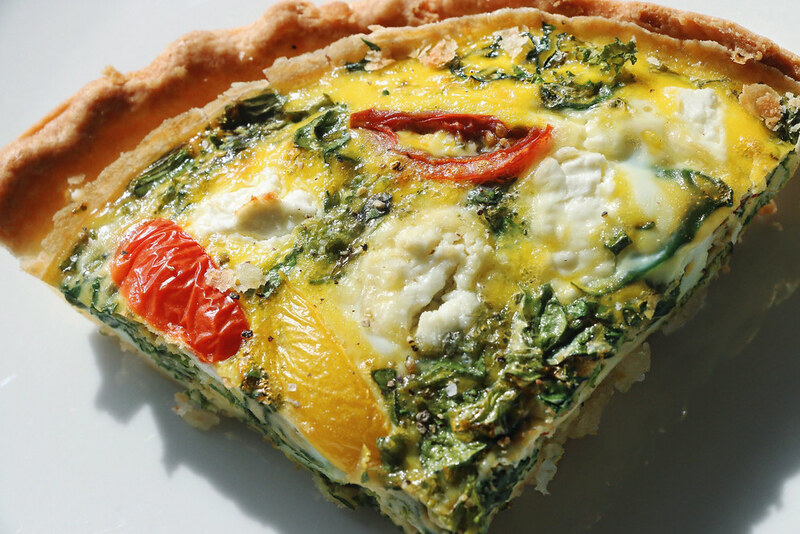 Quiches are great because they can be served hot or room temperature & are so versatile. You can add any ingredients you like with endless combinations like leek & bacon, asparagus & parmesan or ham & cheese just to name a few. 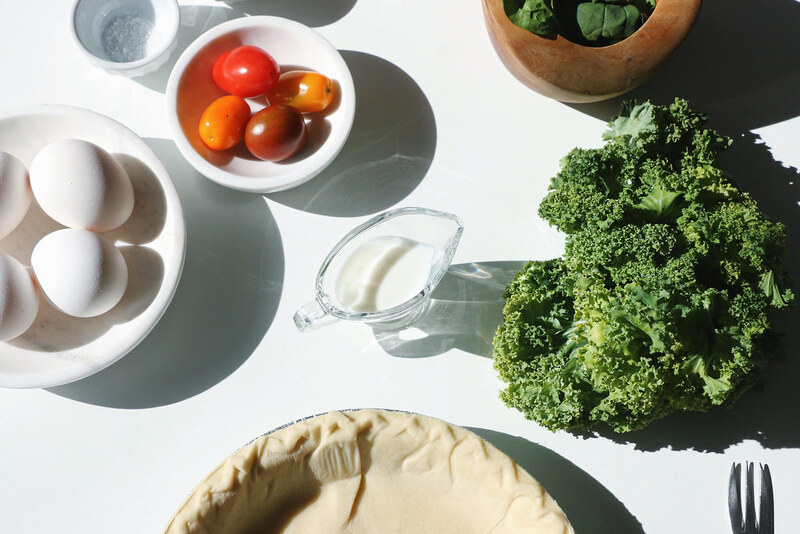 Pierce frozen pie crust with a fork to prevent air bubbles. 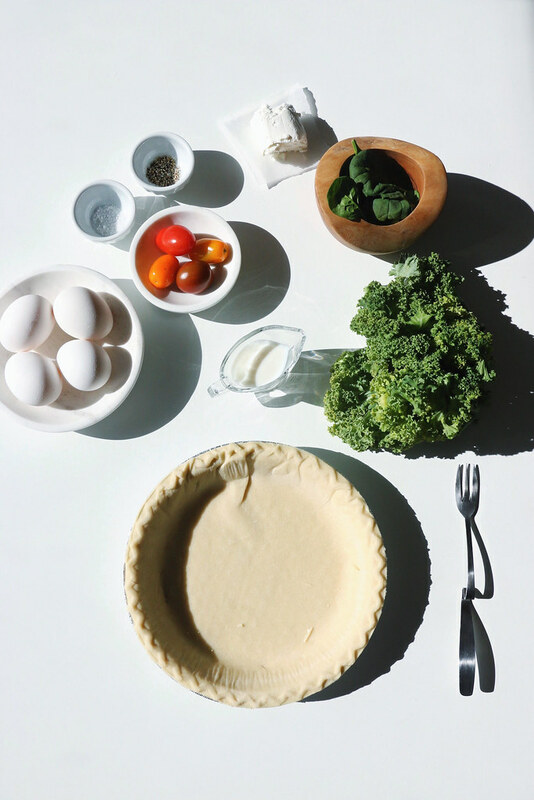 Add four eggs into crust. 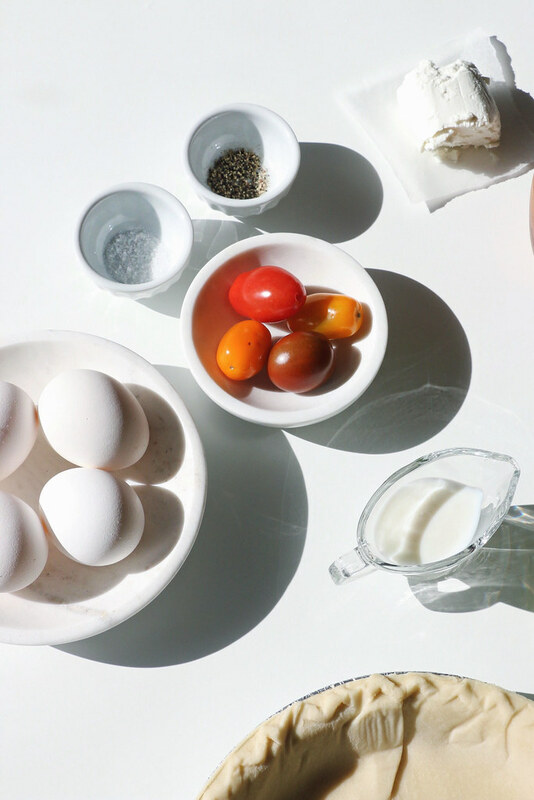 Gently break up yolks using a fork. Finely chop kale & spinach. Gently sauce for 2-3 mins on medium heat to prevent kale edges burning. Add kale & spinach to eggs. Add egg whites & splash of milk. Fold in so egg mixture covers kale & spinach. Add spoonfuls of goat cheese spaced evenly. Add tomatoes. Bake at 350 degrees for 25-30 minutes on middle rack. 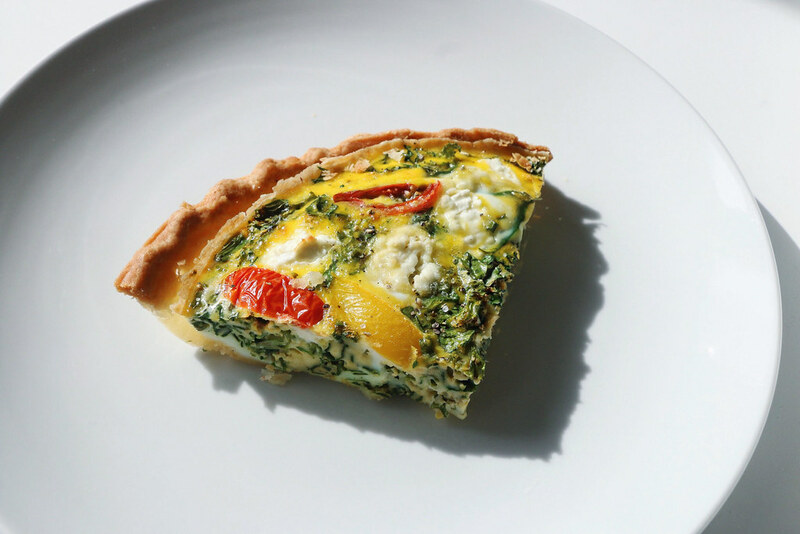 'Jiggle' the quiche to check if the centre is cooked. Broil on high for 2-3 minutes until crust edges are golden brown. Top with cracked black pepper & sea salt. Enjoy. 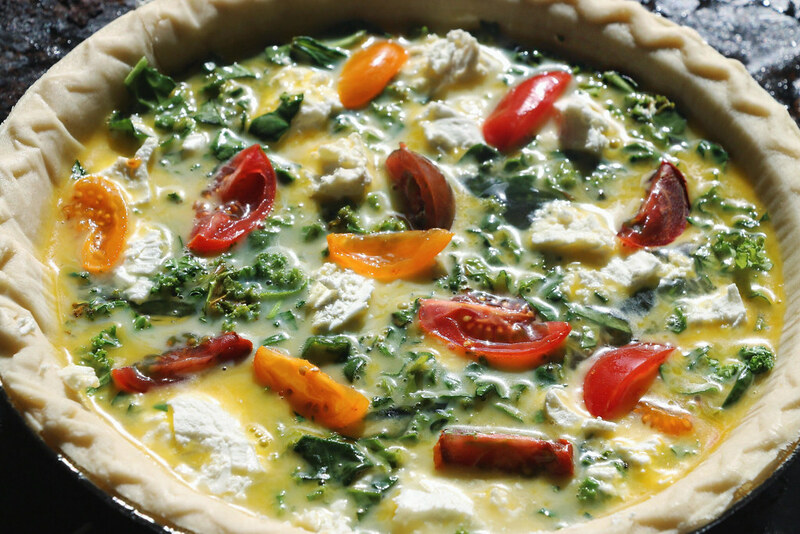 Tip: Using heavy cream in a quiche gives the filling additional richness & creaminess.